At least 13 people are dead and another eight are missing after a U.S. Navy rescue mission in the Gulf of Aden went awry on Monday, NBC News reported. The USS Winston Churchill was coming to the aid of about 85 passengers — 75 Ethiopians and 10 Somalis — who were adrift in a skiff in the busy shipping lanes between the coasts of Yemen and Somalia. As the crew of the Churchill attempted to provide the stranded passengers with food and water, the passengers all rushed to one side of the vessel, which quickly became flooded and capsized, throwing all 85 passengers into the water, NBC News reported. Sailors from the Churchill rescued 61 passengers, but 13 drowned and eight were still missing. 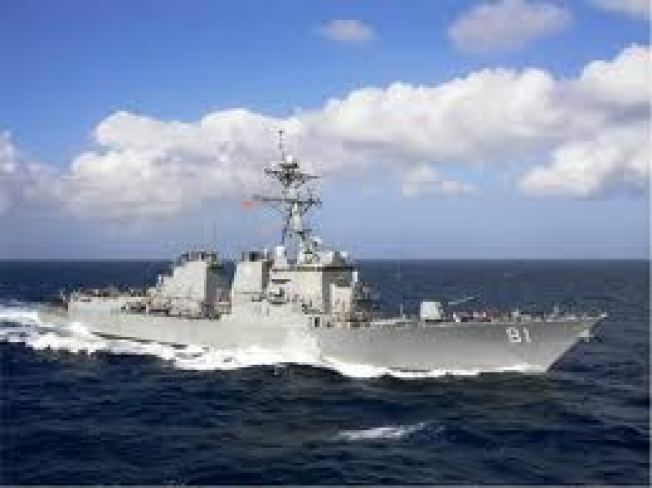 The skiff was initially discovered at approximately 7:30 a.m. local (Bahrain time) on Sunday by a Korean vessel which passed the skiff's location on to the Churchill, according to a U.S. Navy statement. Churchill crew members went to the skiff and tried to repair broken engines but were unsuccessful, The crew then began towing it out of the sea lanes toward the coast of Somalia, the Navy said. On Monday morning, while transferring humanitarian supplies, the skiff capsized and sunk. The event is under investigation, the Navy said. The Gulf of Aden is an important shipping route between the Mediterranean Sea and the Arabian Sea in the Indian Ocean. In recent years, Somali pirates have plied the area and hijacked several international ships. It is unclear what the skiff was doing in the Gulf.